You can book online using the button above or call 020 7403 7458. You can book online using the button above or simply download our booking form and email or post it back to us. If you prefer, for security purposes, not to fill in your card details, please complete all other details on the form and we can then we can contact you by phone for these. SPECIAL OFFER! Parents/carers of autistic children can access this event at £74.00, a saving of £136.00! There are limited seats available so please, BOOK NOW to avoid disappointment. We are also live streaming this event for £50pp, full pricing options are at the bottom of this page. 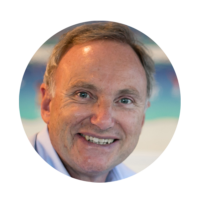 We are honoured to have Tony Attwood, Clinical Psychologist, Ph.D., and the world’s foremost expert on autism, speaking to an ACAMH audience. Additionally, we are delighted to be able to extend the reach of this event by offering it as a live stream. Tony is an International Keynote speaker on Autism and Asperger’s, and together with his own private practice he is Adjunct Professor, Griffith University, Queensland, and a Senior Consultant at Minds and Hearts clinic, Brisbane. Tony is a best selling author, with sales topping 1 million, and titles translated into 28 languages. He is the author of scientific papers, and has written the primary textbook on Asperger’s syndrome, together with working with thousands of individuals with Asperger’s syndrome or an Autism Spectrum Condition. The day is split into two sessions (morning & afternoon). The first presentation sees Tony explain the four stages in the development of friendship and strategies to encourage the development of friendship skills and social integration from children as young as three years to young adults. The activities can be applied in the classroom, playground and at home. The afternoon presentation will explain why children, and adults, with ASD-Level 1 (Asperger’s syndrome) are more prone to have intense emotions and to develop mood disorders. The presentation also explains strategies that can help moderate and manage emotions. The Cognitive Behaviour Therapy includes affective education and cognitive restructuring, i.e. improving the understanding of emotions in yourself and others and changing the way the person perceives and responds to emotions. The concept of an emotional toolbox is used to provide a greater range of strategies to manage and repair feelings. £50 per person. Please note that each person viewing the live stream feed will need to purchase a ticket. We are offering discounts for 8 or more people who wish to watch the event as a group. Please note that this event will be broadcast live. It will not be repeated and live stream delegates will not have the opportunity to watch it after the event. Please note that the venue is a consecrated church.